Finland holiday cottage. 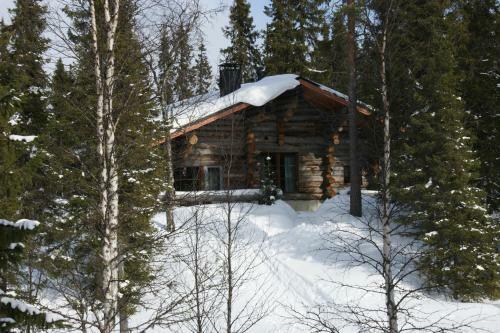 Situated in Ruka in the Oulu (province) region, Ruka Kiehinen is a 5-star property boasting free WiFi. The accommodation is 2.6 km from Kulmahissi. Leading onto a terrace, the chalet consists of 4 bedrooms. The kitchen has a dishwasher and an oven. Skiing can be enjoyed nearby and ski storage space is also available on site. RukaExpress chair lift is 2.7 km from the chalet. Kuusamo Airport is 20 km away.